To Anita, Ruan was her everything. Her entire life. She can’t understand how no one saw her son get knocked over by a car. And she struggles to comprehend how the person who killed her son ‘left him just like that, like a dog, on the side of the road’. “I can’t get over that. I just can’t,” she says. Anita Greyvenstein sobs as she remembers the death of her son, who was killed after a car knocked him over on the N14 highway, close to Jean Avenue in Centurion. 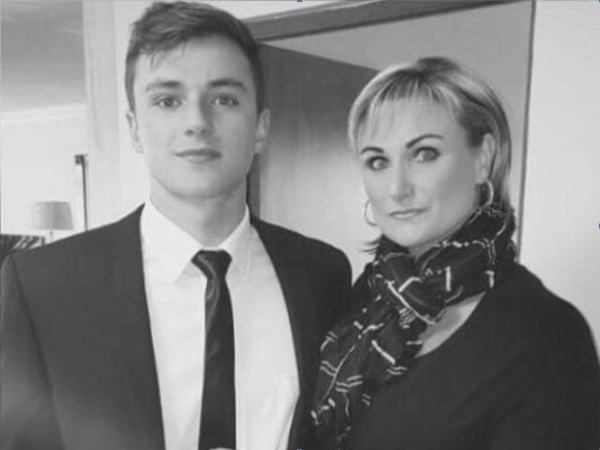 Her husband, Sergie, was left with the heartbreaking task of identifying their son, Ruan Viljoen’s body. On the day of the accident, Ruan was found in the middle lane of the highway. He had visited friends the previous night and on his return home the following day lost control of his car. He locked his car and supposedly decided to walk to a nearby petrol station to call his parents. It was then that he was hit by the vehicle. Nearly every bone in his body was broken. The colour of the car that hit him was still found on Ruan’s clothing. A part of the car’s bonnet that was retrieved from the scene had residue from his denim jeans on it. It is bad enough that her child was "crushed to death" and that "any mother’s worst nightmare" became a reality for her, but all the unanswered questions she has about what happened to her child makes things all the more traumatic. Anita and Sergei did everything in their power to get answers. They found multiple auto parts on the scene where Ruan was discovered. Volkswagen confirmed with them that the parts they found did, in fact, belong to silver a Volkswagen Golf 6 that was manufactured between 2009 and 2012. But Anita and Sergei don't want to eliminate other vehicles as possibilities "because there have been many accidents on that road". Sanral also provided them with footage of cars passing through the tollgate around the time the accident took place, which was in the early morning hours of Sunday 19 March. They now want to carefully look through the footage in the hopes of finding a car that matches their description. They have also been granted a court order to receive cell phone information from Vodacom, Cell C, MTN and Telkom of people who were close to the cell towers at the time of the accident. All Anita wants is someone who saw something; a panel beater that had to repair a damaged car; anyone with a lead that could give them more clarity on her child’s death. “Every mother’s biggest fear is losing your child to death,” says Anita, who is also mother to a younger daughter. “If your child has cancer, you still have time to prepare for the worse. But if your child is killed and left alongside the road like a dog... with that, I can’t deal. He had just started with a bridging course at Varsity College, after completing his school career at the Afrikaanse Hoër Seunskool. His plan was to study business strategy. His braces were removed a few weeks before his death. He was enjoying his visit with his friends. “Within the blink of an eye his life was changed,” says Anita. “I walk past his room and he’s not there. “Instead of four plates of food, I now dish only three. Instead of two packets of sweets, I now only buy one.